The mission of Earthplace is to build a passion in our community for nature and the environment through education, experience and action. Founded in 1958 and accredited by The American Association of Museums, Earthplace maintains a 62 acre wildlife sanctuary with trails, exhibits an interactive natural history museum with wildlife dioramas, houses live wildlife for public viewing and hosts many public nature programs and events. Other activities include a state-licensed preschool and summer camp, and the Harbor Watch water quality testing program. 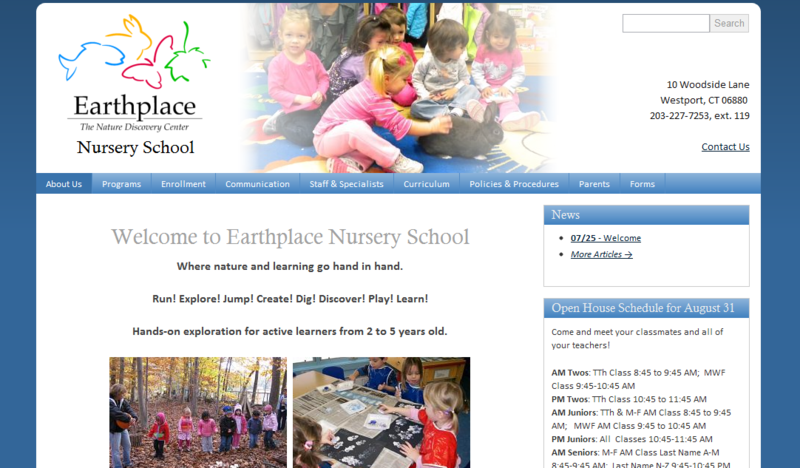 Earthplace Nursery School provides a unique blend of appropriate developmental activities and experiences along with exposure to the environment on our trails and in our natural science museum.